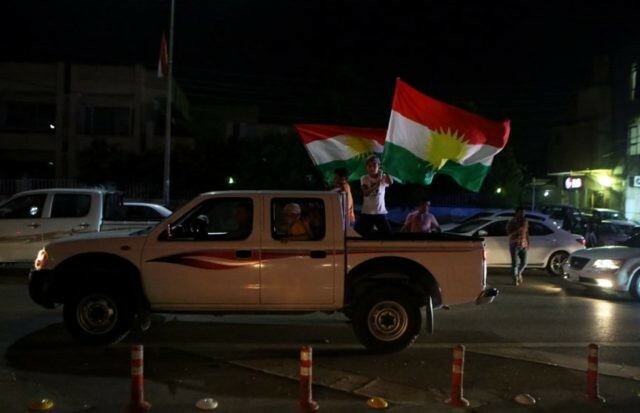 IRBIL, Iraq (AP) — Iraq’s prime minister on Tuesday ordered the northern Kurdish region to hand over control of its airports to federal authorities or face a flight ban, signaling a tough response to a landmark Kurdish independence referendum held the day before. Prime Minister Haider al-Abadi’s ultimatum came the day after the vote and ahead of the release of official results. He said the ban would exclude humanitarian and other “urgent” flights. Regional authorities in Iraq’s autonomous Kurdish north put the turnout at over 70 percent, but many voters reported irregularities, including cases of individuals voting multiple times and without proper registration. Many expect a resounding “yes” vote when the official results are released, most likely on Wednesday, according to the Kurdish electoral commission. The vote has already ramped up regional tensions. Iraqi troops began joint military exercises with Turkey along the border. Fearing the vote could be used to redraw Iraq’s borders, taking a sizeable part of the country’s oil wealth with it, al-Abadi has called the referendum an act of “sedition” that “escalated the ethnic and sectarian tension” across the country. Associated Press writers Jon Gambrell in Dubai, United Arab Emirates, Balint Szlanko in Irbil, Iraq and Suzan Fraser in Ankara, Turkey, contributed to this report.